As you guys probably know, we recently took a trip to Lake Tahoe a couple of weekends ago and it was such a nice little getaway. 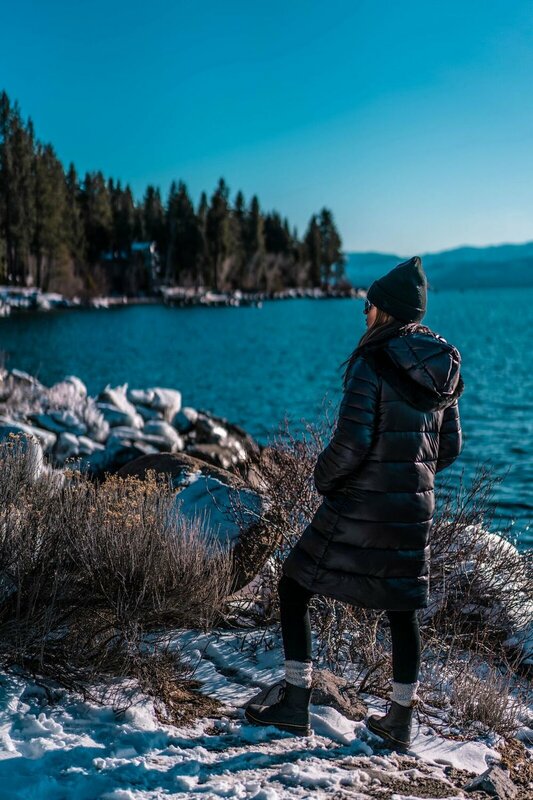 We had the opportunity to stay at The Landing Lake Tahoe and it was just the relaxing trip we needed. The Landing is located on the shoreline of South Lake Tahoe, so there’s an amazing waterfront view from the property. I am totally missing this view already, even though we did not have a lake view from our room, it's visible from the common areas. It snowed like crazy our first day into the night and made for beautiful photos. The resort itself is very relaxing. They have nice big fireplaces in every guest room which makes it super cozy. The best thing about the rooms was definitely the heated floors and toilet seats. I had no idea I needed these two things in my life but our stay has definitely inspired this in our new home. We spent a lot of time hanging out in our room with a fire going, we can't really enjoy these types of things in AZ. The cozy rooms made it so hard to leave for our daily adventures! Of course we had to get out, because there was so much to offer in the location we were in. We were in the perfect area for skiing and snowboarding, and we were also only three blocks from downtown where there’s lots of cute cafes and shopping. However, we ended up eating at Jimmy's a lot, the restaurant inside the hotel, out of convenience. It was a cute little spot. We didn't bring Mr. Hemingway on this trip, but the hotel is dog-friendly and even has an inside area where you can dine and bring your pup. I love that! 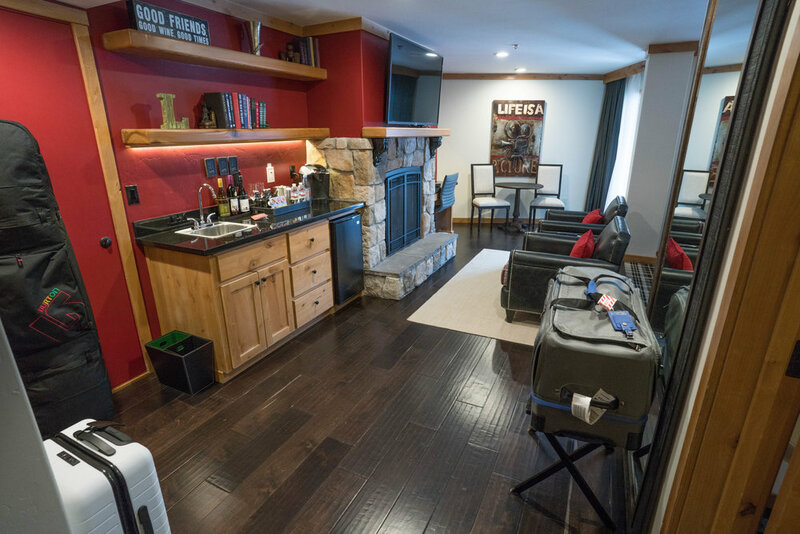 Click here to check out The Landing if you’re ready to plan your next getaway! My stay was hosted by The Landing Lake Tahoe but all thoughts and opinions are my own.